Aurora, CO, September 10, 2018 --(PR.com)-- iBeta Quality Assurance is the first biometrics testing lab to achieve accreditation in the newly launched FIDO Alliance Biometrics Component Certification Program – the first such program for the industry at large. iBeta Quality Assurance is the first software testing lab to attain FIDO Alliance biometric test lab accreditation and is in a unique position to certify biometric systems to the FIDO Alliance Standards. This FIDO Alliance program allows vendors to apply for testing and certification to validate their system performance. The FIDO Alliance certification from iBeta provides time and cost savings as the certification established a trusted standard across all biometric modalities that potential and current customers can rely upon. The FIDO Alliance is an industry consortium launched February 2013 to address the lack of interoperability among strong authentication devices and the problems users face creating and remembering multiple usernames and passwords. The FIDO Alliance has established a Biometric Component Certification Program to establish accredited software testing labs that can provide certification for biometric authentication technologies. 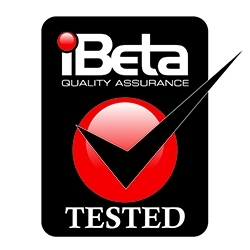 About iBeta Quality Assurance – iBeta is nationally accredited as a test lab by the National Voluntary Lab Accreditation Program (NVLAP) to the requirement of ISO/IEC: 17025 (general requirements for the competence of testing and calibration laboratories) as well as NIST handbook 150-25 for Biometric Testing.